Over 30 years’ experience in the Commercial and Residential Cleaning Industry, offering expertise to clients in all areas including cleaning, administration, training, operational management and building maintenance, with emphasis on training staff to meet the high quality standards required to remain ahead of the game in today’s fast moving environments. Previously Northern Regional Manager for National Cleaning and Consultancy Ltd, managing a team of 50+ people and a sizable consumables budget required to accomplish their dailyroutines. 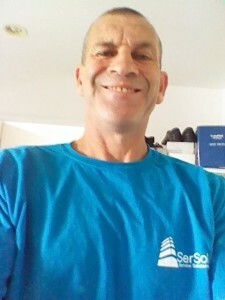 Currently Managing Director for SerSol Service Solutions Ltd, who operate in collaboration with BBMS Ltd for all their cleaning requirements.